Lorde didn’t release an album in 2014, but her job curating the latest Hunger Gamessoundtrack has kept more than busy. Not only did she round up A-list talent (Kanye West, HAIM, CHVRCHES, Miguel, Charli XCX, Q-Tip, Pusha T, and The Chemical Brothers) and feature on a number of its tracks, but the New Zealand pop star even contributed her own original single, “Yellow Flicker Beat”. 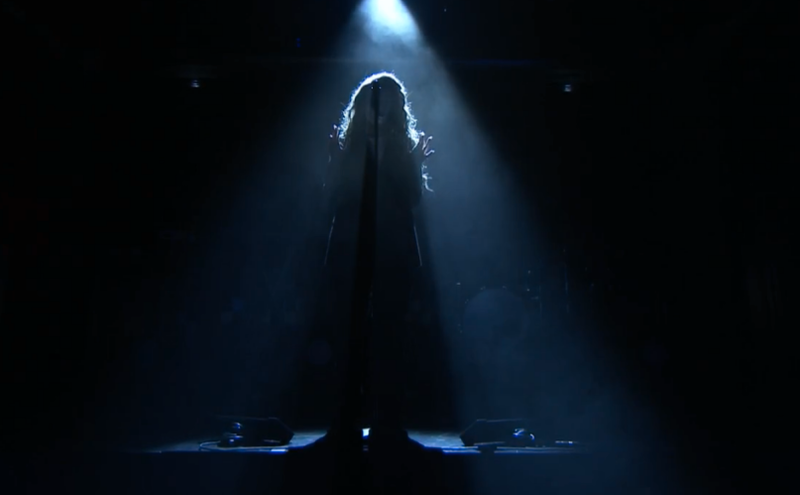 To coincide with the theatrical release of The Hunger Games: Mockingjay, Part 1, Lorde stopped by The Tonight Show with Jimmy Fallon to perform “Yellow Flicker Beat”. Not unlike her appearance on Sunday’s American Music Awards, the late night performance was dazzling from start to finish.